Today, I want to share another project using the adorable Kraft Window Tubes, You & Me Stamp Set and the beautiful Twisted Lime Trendy Twine. I took Trendy Twines Kraft Window Tube and filled it with some yummy Chocolate Easter Eggs. 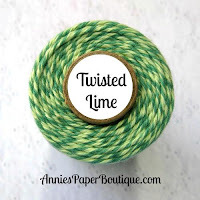 I then wrapped some of the fun Twisted Lime Trendy Twine and tied on a cute tag. 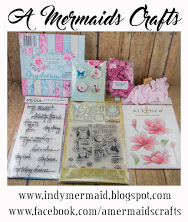 The tag is a Die Versions tag and stamped on the sweet sentiment with Trendy Twines You & Me stamp set. I made coordinating card to go along with the treat. 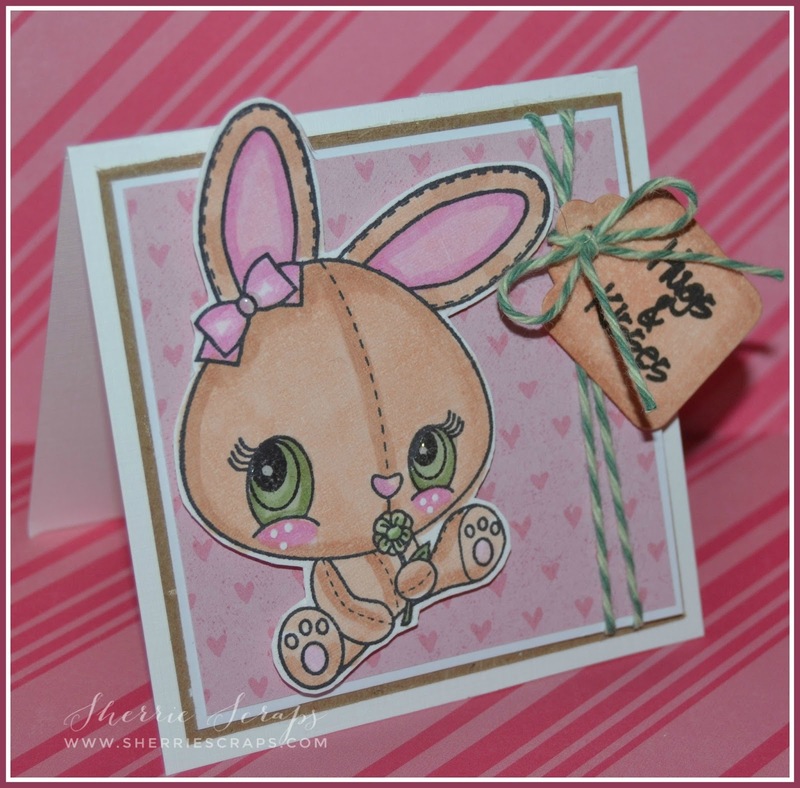 The bunny is Jaded Blossoms Honey Bunny stamp set and colored with copics. Adorable!! Love the little bunny! Absolutely adorable set. The bunny is precious. Your coloring is perfect. Cute, cute, cute. Have a great day. Love love love love these!! LOVING that tube and those bunnies are ADORABLE!!!!!!! 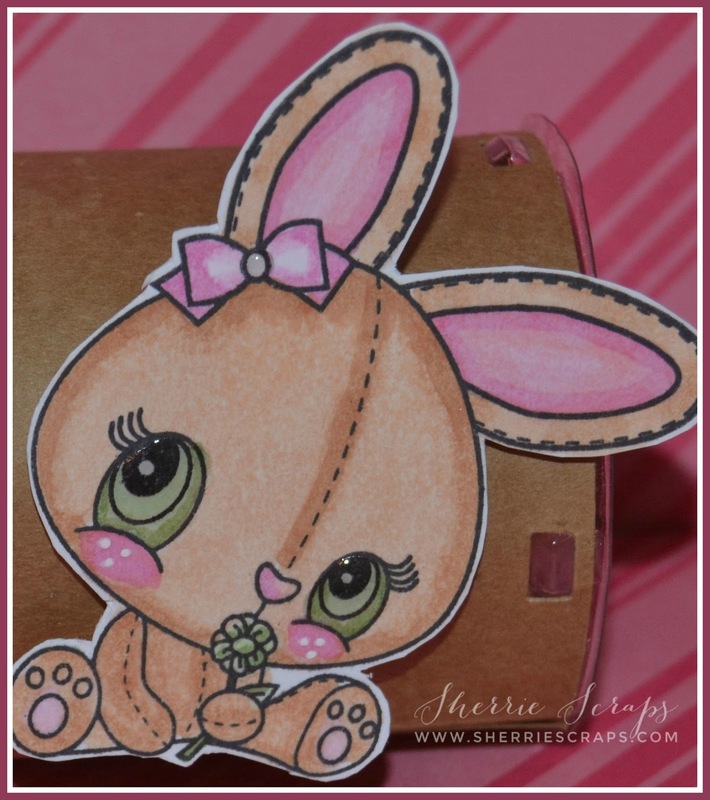 Oh my goodness, Sherrie, these could not be more adorable!! Those bunnies are precious!! You colored them beautifully!! I love how you've used the twine, too!! What a sweet gift set this is!! Congrats again on your guest DT spot!! Sherrie, this is such an adorable set. Your little bunnies are so sweet and you colored them beautifully. This is such a great idea for Easter. Thank you so much for guesting on the Trendy Twine blog this month. All of your projects were amazing. 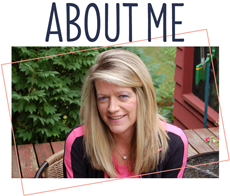 You worked so much crafty goodness into each blog post. It's been a pleasure working with you and I hope we can do it again. Thank you so much Lesley! I enjoyed it and hope to GD again in the future! This is such a darling gift set! The green eyes on those bunnies tie in the Trendy Twine perfectly. You have done such a wonderful job on all of your projects this month. 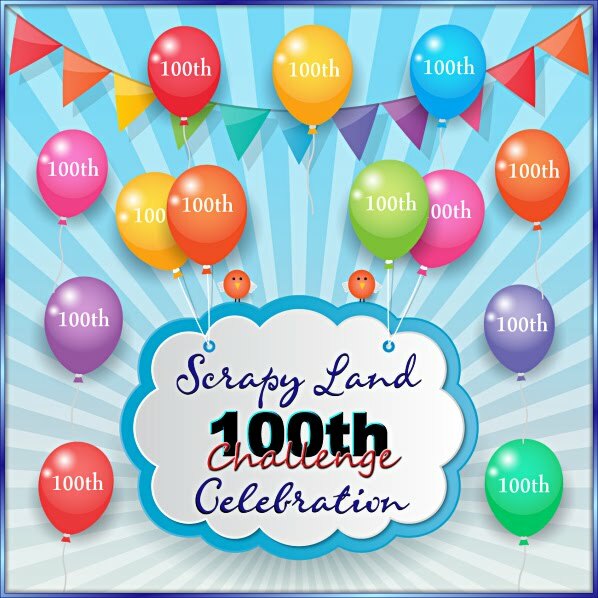 It has been a joy seeing each and every one! Thank you for guest designing for Trendy Twine. 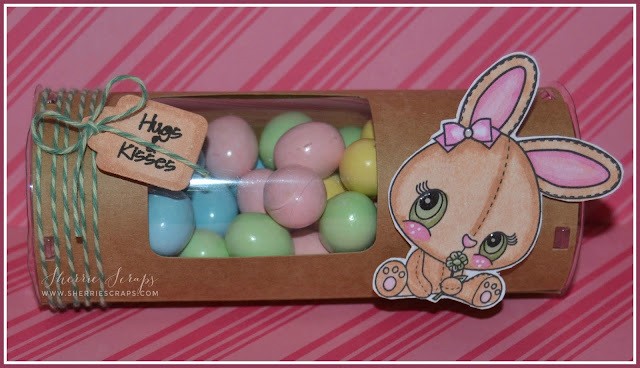 Very cute treat holder and the little bunny is darling! Thanks for sharing your creation with us for our Easter challenge at Cut it Up! and Happy Easter! Super adorable my friend!! I love this sweet set!! Congrats again! Omgosh!!! 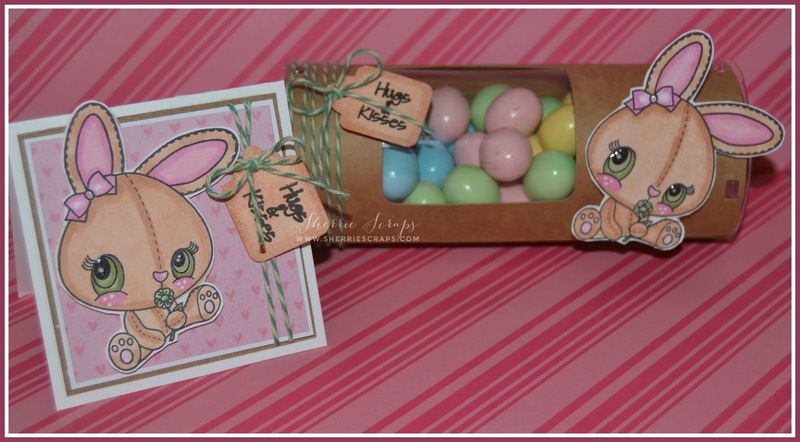 Super cute Easter gift set Sherrie!!! I recently got that adorable bunny from JB and haven't had the time to color it up. Totally love yours!!! Have a great weekend!!! 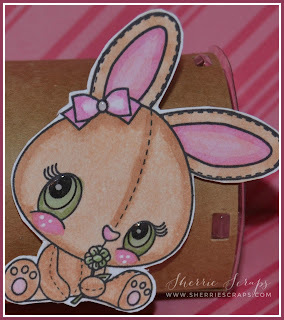 Congrats on your GD spot your treat boxes are so adorable and I just love the little bunny. 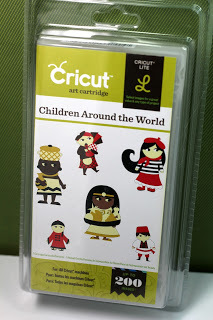 Don't they just seem to multiply when they are die cuts and stamp images? I love it. I love this card and candy! It's so cute! Super cute set! 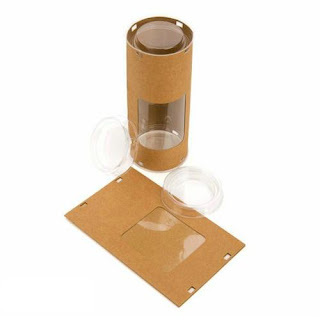 The tube of treats is so fun and I love your card! The bunnies are the cutest! Congrats on the guest designer spot! Oh these are just too adorable! I love that bunny and oh what a fun set! You were an amazing guest designer! Thank you for being so awesome!